A week or two ago I asked on my Facebook page what sorts of recipes people fancied seeing this autumn. Most of you were thinking along the same lines – warming stews, curries, casseroles, that kind of thing. Anything to make the impending cold weather bearable, basically. A few people wanted soup, and someone wanted some kind of noodle recipe – so I thought I’d make noodle soup to kill two birds with one stone (not that you’re birds, or that I want to kill you… I also don’t condone animal violence…). 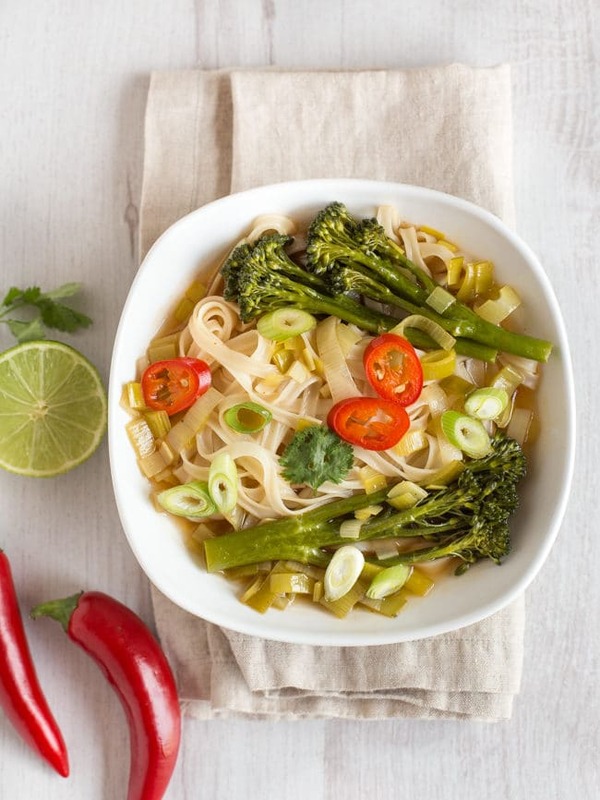 This Asian-inspired broccoli noodle soup is made with ginger, garlic, soy sauce, sriracha – all sorts of fragrant flavours that make the broth really tasty. 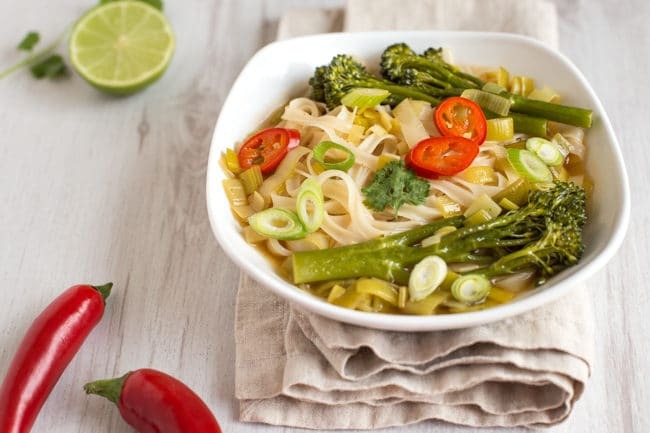 Aside from the ingredients in the flavourful broth, there are only a few main elements of this broccoli noodle soup (they don’t call this site ‘simple vegetarian recipes’ for nothing) – Tenderstem broccoli, leeks, and noodles. It’s really easy to customise though, if you fancy mixing it up a bit. 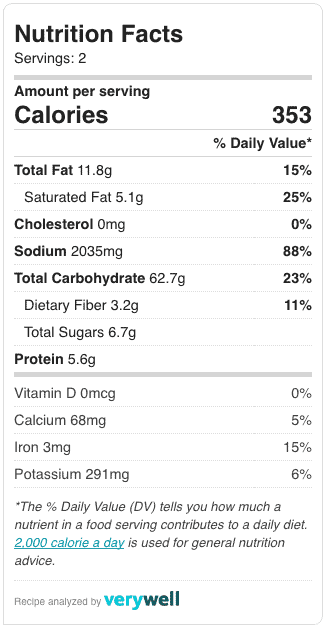 Add different veggies (maybe some asparagus or mushrooms? 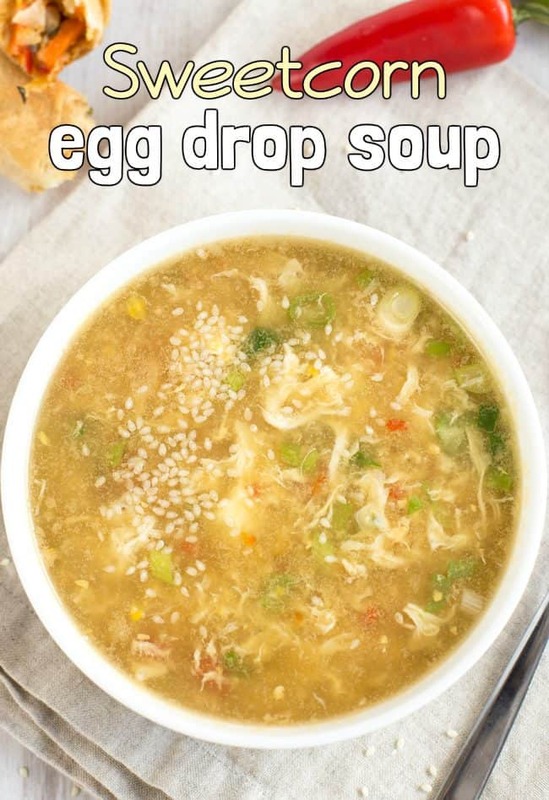 ), tofu or soy beans, use egg noodles instead of rice noodles… the spicy broth would be a great base for all kinds of soups. Just make sure your veggies stay nice and crisp – they only need to boil for a few minutes in the broth. I also enjoyed adding plenty of toppings to my noodle soup – spring onions, coriander (cilantro), and some sliced red chillies for an extra kick. It’s so pretty. Garnish is everything! If there’s anything better than slurping a big bowlful of noodles, I don’t know what it is. But I would probably not recommend eating this noodle soup in polite company – you may be liable to end up with broth dribbling down your chin, perhaps even flicking yourself in the eye with a noodle… just get your face right down to the bowl and chow down. Heat the oil in a saucepan, and add the sliced leek. Cook for a couple of minutes over a medium heat until starting to soften, then add the garlic and ginger. Cook for 2 more minutes, until soft and fragrant. Add the vegetable stock, soy sauce, rice vinegar, sriracha, and plenty of black pepper. Mix well to create the broth. Bring to a simmer, and add the Tenderstem broccoli. After a couple of minutes, add the rice noodles, and cook for a few more minutes until the noodles are cooked and the broccoli is tender but still fairly crisp. 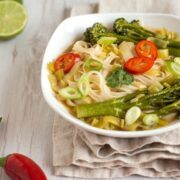 Serve the noodle soup topped with sliced spring onions, red chillies, fresh coriander (cilantro), and a squeeze of lime juice. This is really delicious. 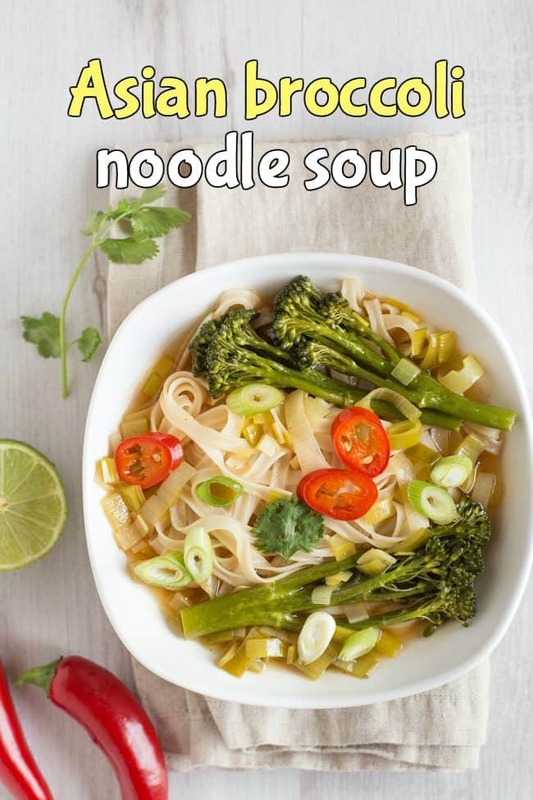 The broccoli in the noodles soup is new for us but it’s an amazing addition. My family actually loved it. Thank you for sharing this healthy and delicious recipe. Why in God’s name do the comments on food blogs always come from people who haven’t made the food yet? Stop saying something is amazing until you put it in your mouth, and then try to be helpful. What was good? What did you like or dislike? Did you add more of something or omit something? OMG, this is amazing is the response of an idiot. Hi Sheila! Sorry if blog post comments annoy you – we bloggers know how much hard work goes into each and every blog post (a lot! ), so we like to support each other through the comments. Mine are ordered in reverse chronological order, so later on, when people have had a chance to try the recipe, those comments will appear first. I’m afraid you’re unlikely to find a comment from someone who’s already tried the recipe when the post is only a day or two old! We eat a lot of stir fries in warmer months as it’s a quick and easy dinner but come the winter we want something more hearty. 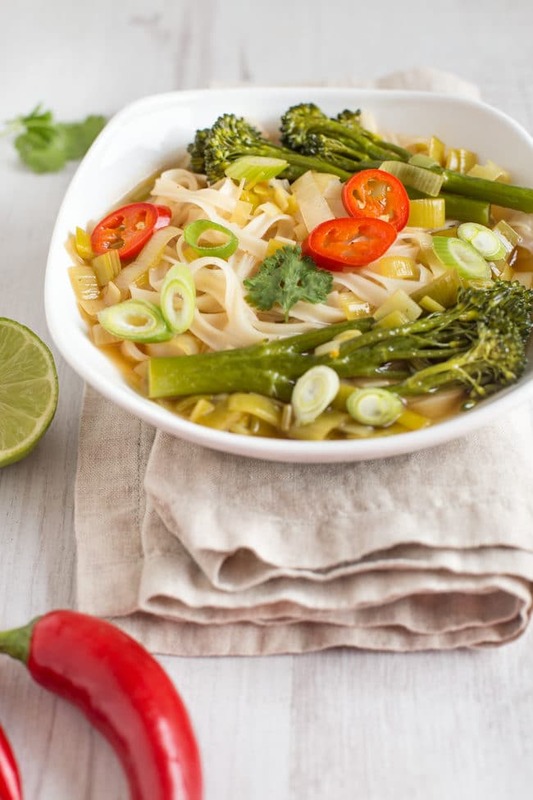 Why have I never thought of making noodle soup :-) this looks lush and is going on our meal plan! Ooh drool this is just what the doctor ordered for me! Really craving soup right now and I want to pack in the veggies so this is perfect. Will be on my menu soon! I love noodle soups, they are my favourite thing to order when I eat out but for some reason I rarely make them at home. I will give this recipe a go very soon!